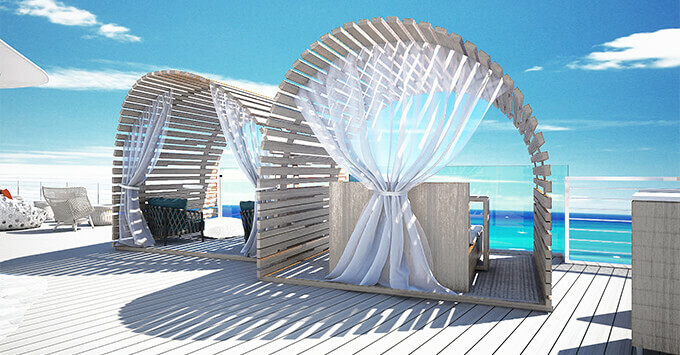 (3:30 p.m. EST) -- Celebrity Flora, Celebrity Cruises' first custom-built cruise ship designed specifically to sail in the Galapagos, will feature a top deck camping experience when it launches in 2019. 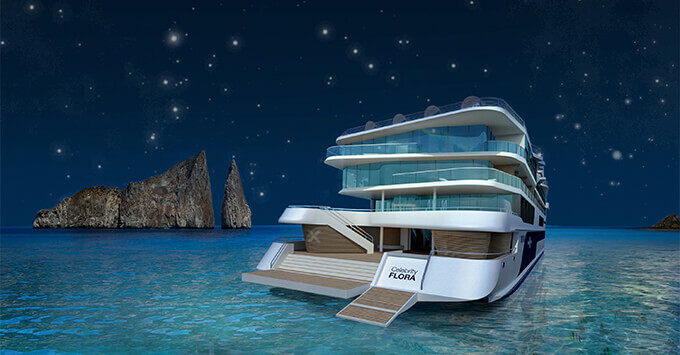 "Celebrity Flora was specifically designed to bring our guests closer to the Galapagos Islands than ever before -- from its outward-facing design that takes guests to the water's edge, to the enhanced custom-designed Novurania yacht tenders," said Lisa Lutoff-Perlo, president and CEO for Celebrity Cruises. "And now our new Galapagos Glamping experience gives guests an incredible opportunity to experience the destination the ship was built for, on a whole new level, under the millions of stars above." The overnight Galapagos Glamping experience comes with two cabanas located on the top deck, one fitted with a double bed for sleeping and the second laid out for dining. For part of the night, a naturalist will be on hand to highlight the stars and constellations. The experience will include a full dinner, with a curated selection of cocktails, wines and menu items; a full bedside breakfast is also included. Galapagos Glamping experience can be booked by up to four people, and is available upon request for a fee, on every Celebrity Flora sailing. Celebrity Flora will sail from Baltra year-round, making its debut on May 26, 2019. It will alternate between 10 and 11-night inner and outer loop itineraries. Features will include the outdoor Ocean Grill, serving fresh local ingredients and seafood; an upper-deck observatory with cozy seating and a library; The Vista open-air lounge with cocoon-style chairs, private cabanas and a hot tub; a marina stocked with Zodiacs; and environmentally-friendly systems, including anchorless technology that can maintain the ship's position while also protecting the sensitive sea floor.